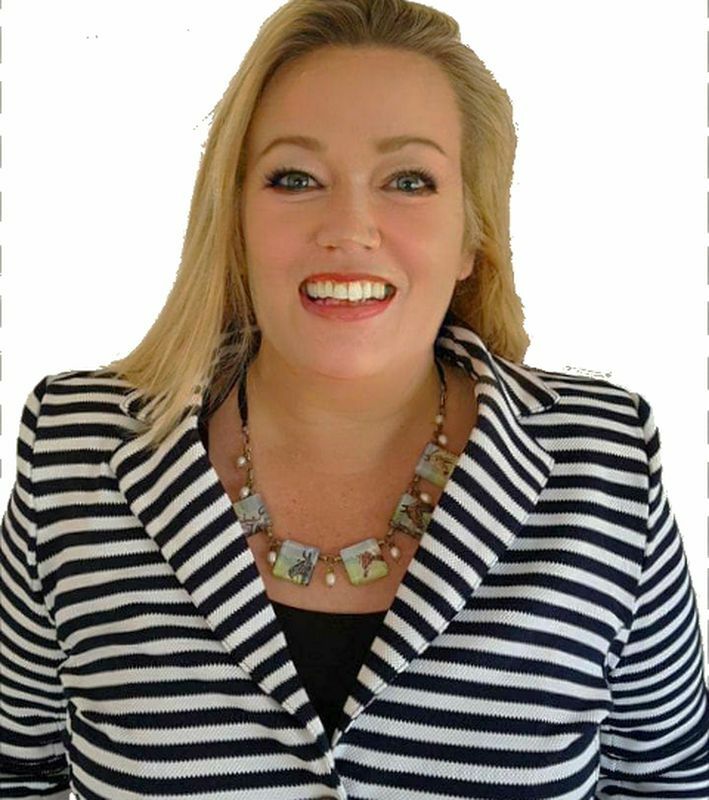 Call Annette to find out how we get properties sold fast and effectively without charging you like a wounded bull! 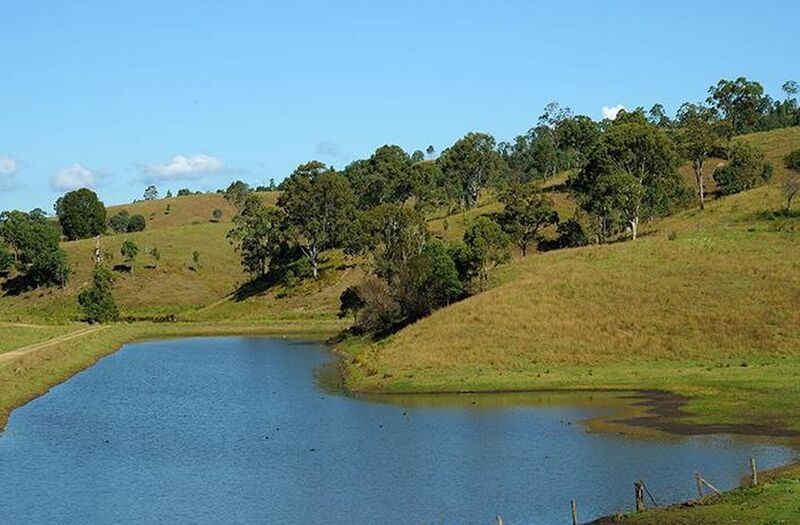 Spread over 380 acres with two titles this private estate has potential for a SMSF part purchase. 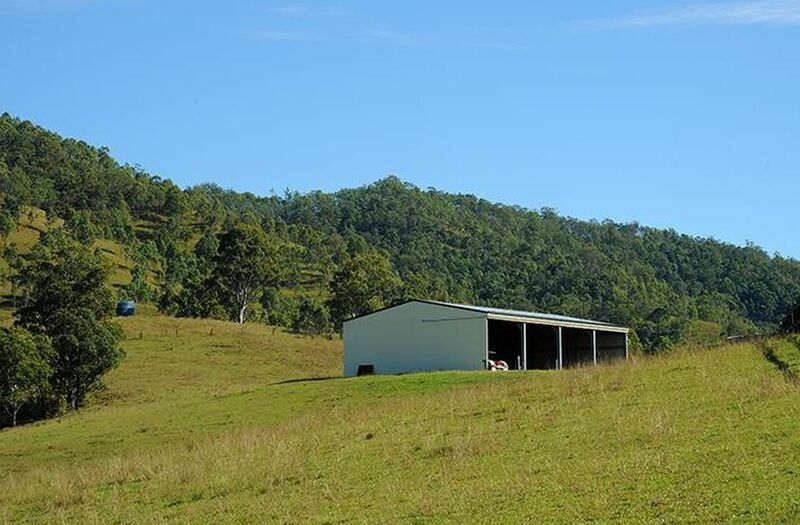 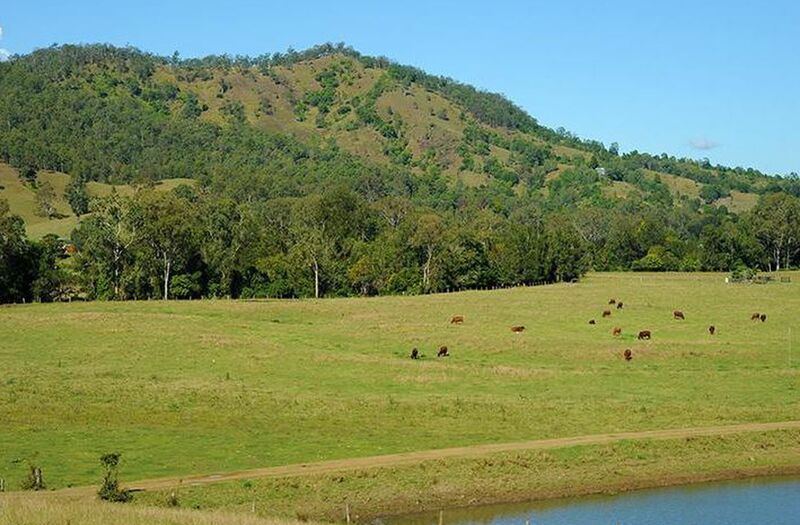 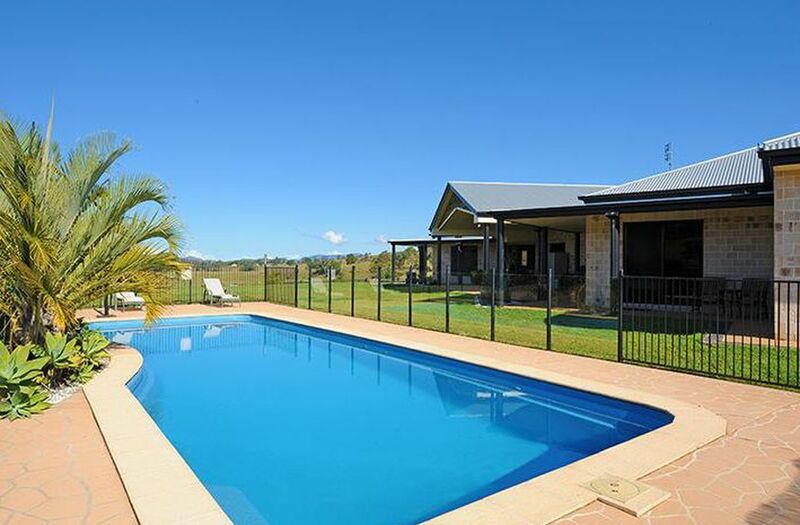 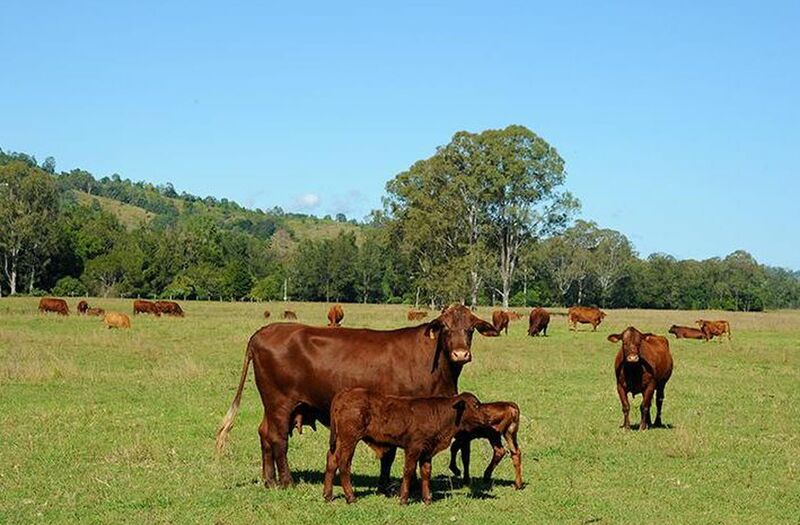 With 60 acres of creek flat, a massive 270m dam, long creek frontage, a bore and only 100km to Brisbane CBD you will be able to do some serious weekend farming. 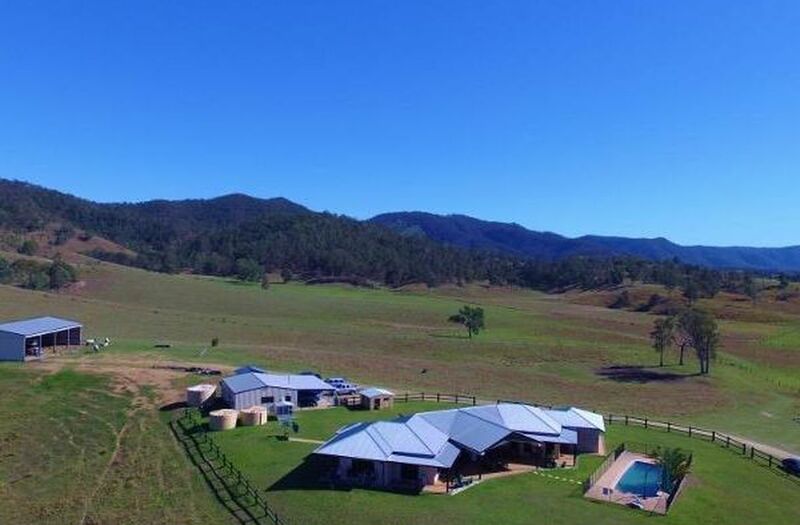 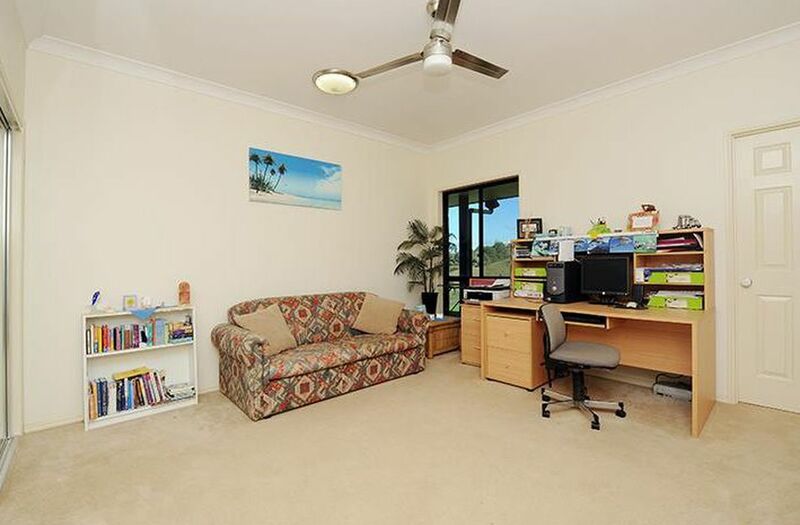 Heavy internet users will be surprised to find this property closer to the ADSL2 exchange than most residential homes. 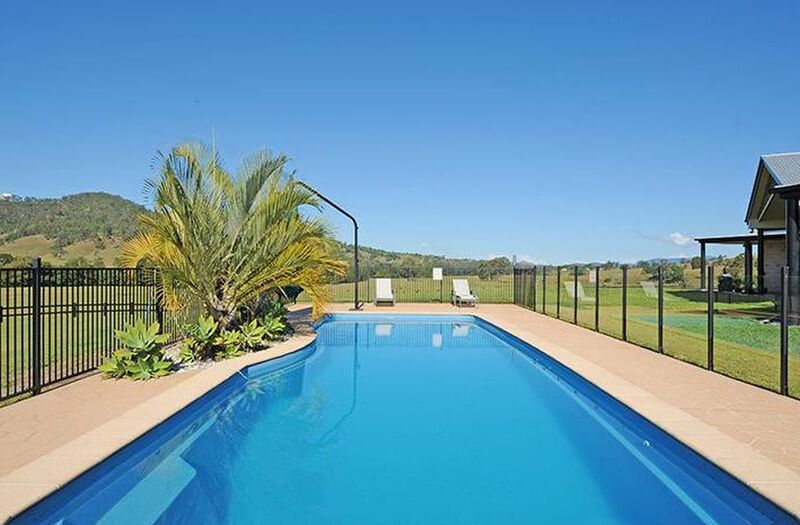 The 6 bedroom 460sqm lifestyle residence boasts three living areas, 10' ceilings, air conditioning and a large outdoor entertaining area overlooking the 12m x 4m salt water pool. 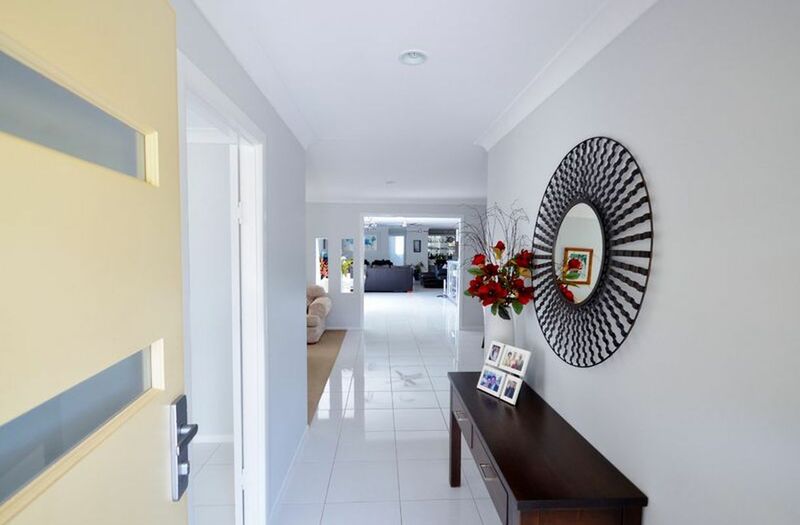 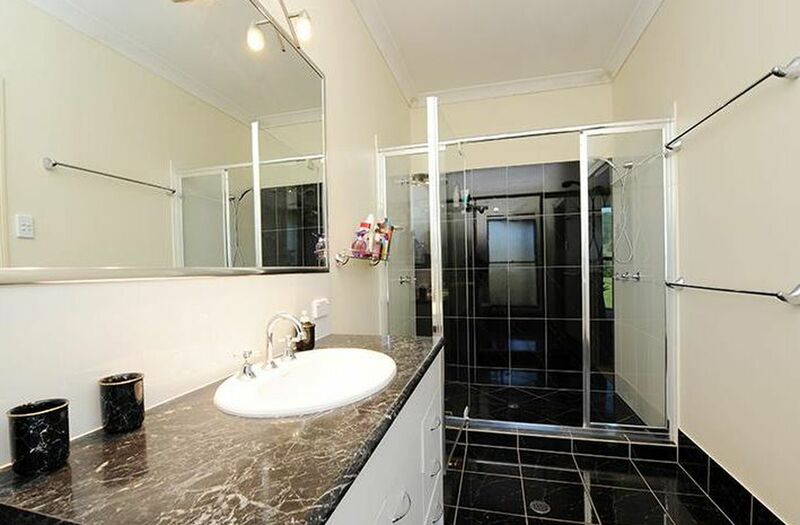 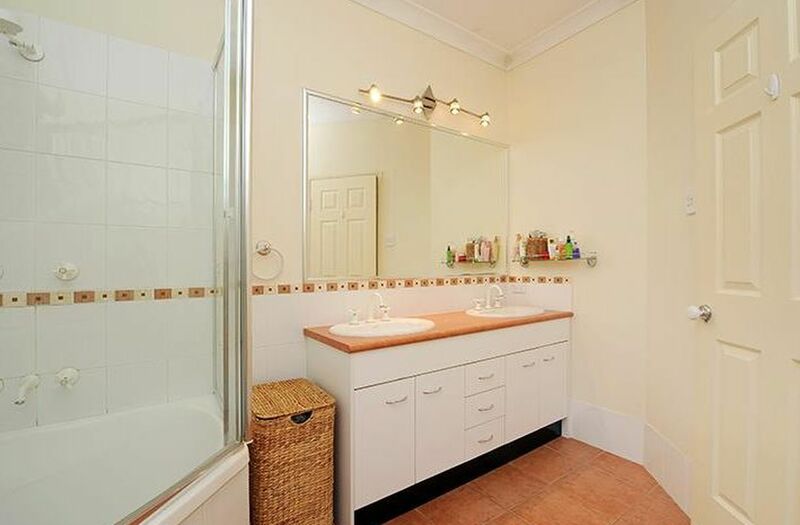 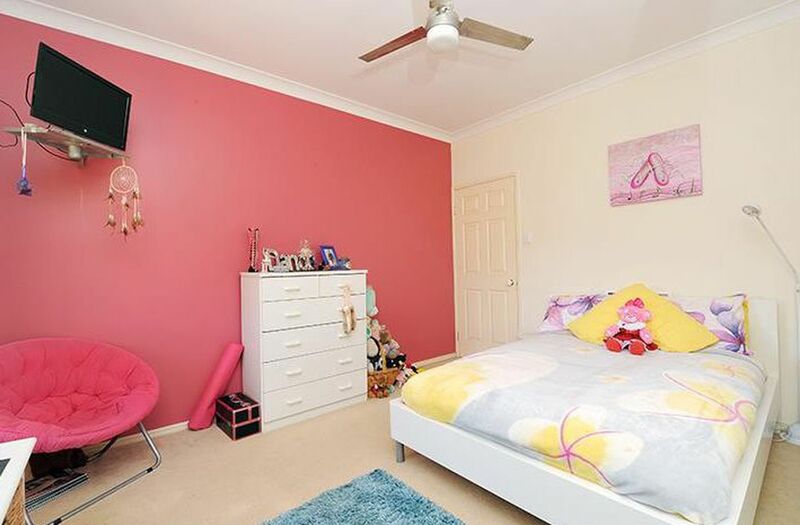 The large well appointed home was built by a local reputable builder in 2006. 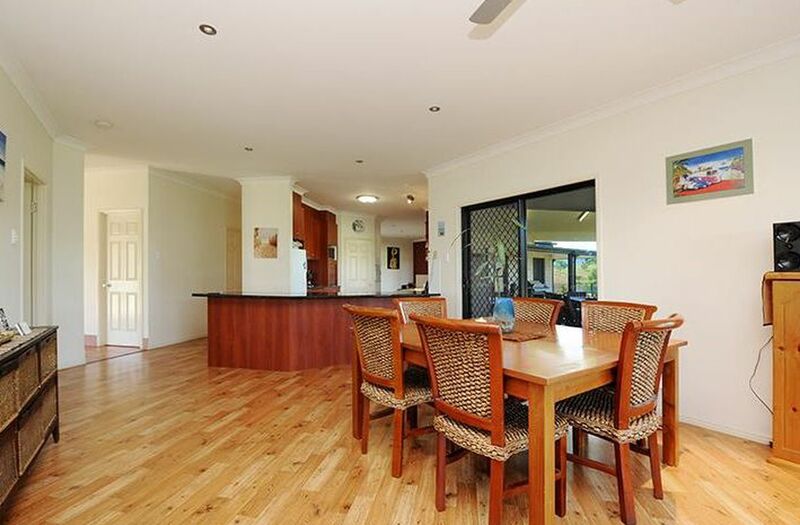 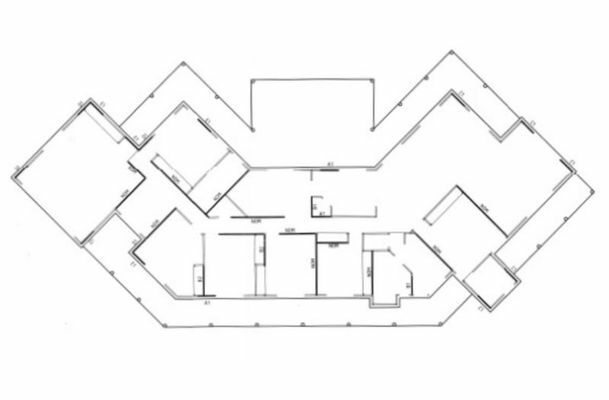 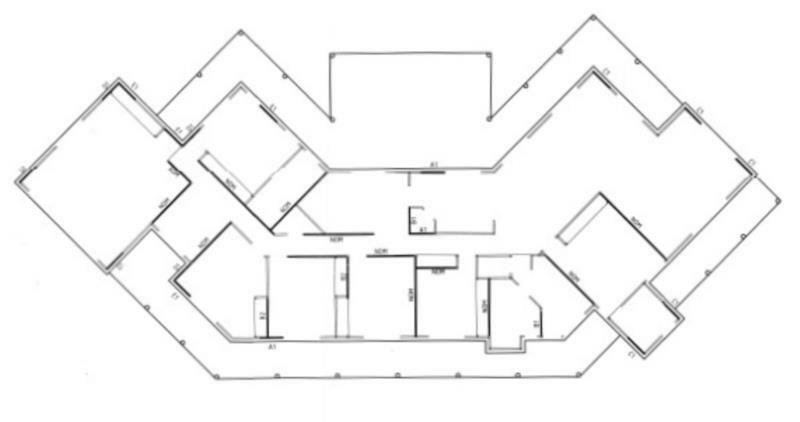 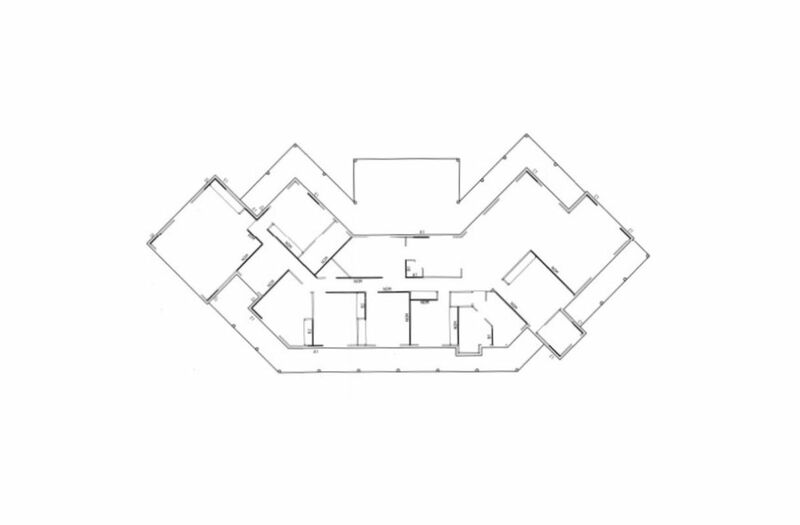 Incorporating 6 bedroom and 3 living areas over 460sqm the replacement costs on acreage this size are astronomical. 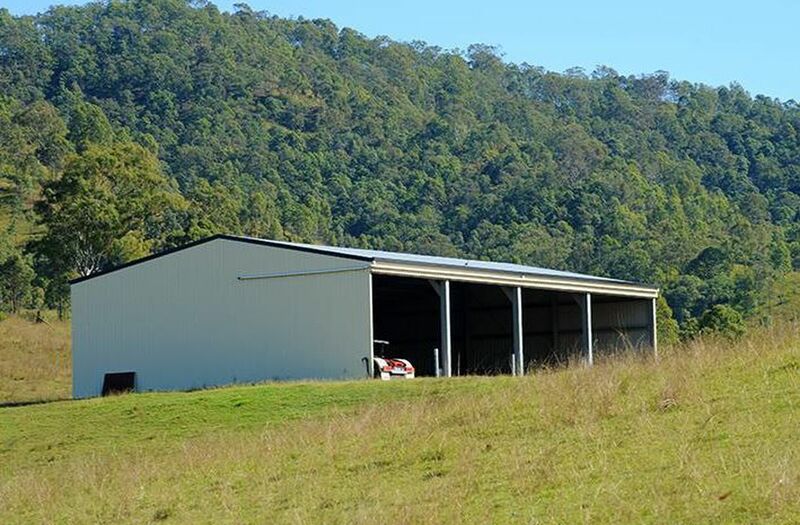 Extensive high quality outbuildings including a 24m x 15m shed with 5m clearance, a 12m x 9m shed with 6m awning and double lock up garage add to the overflowing booty. 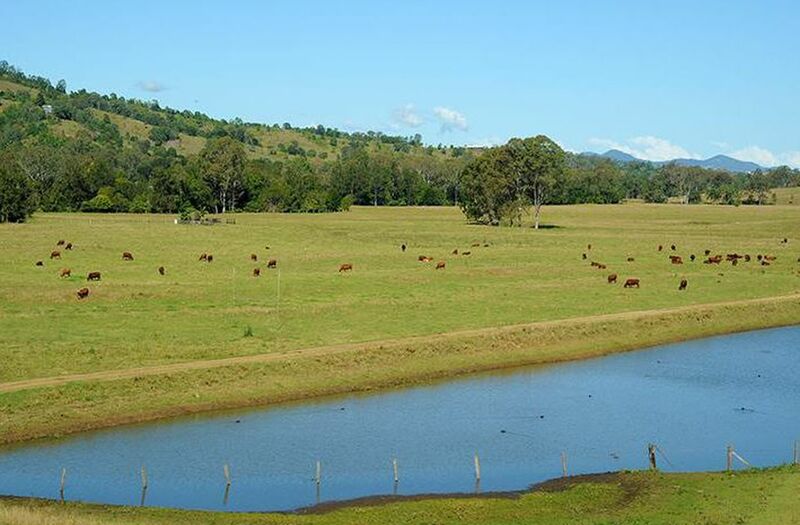 Water is the key to a good cattle property and it is water that sets this property way above all others on market in the near vicinity. 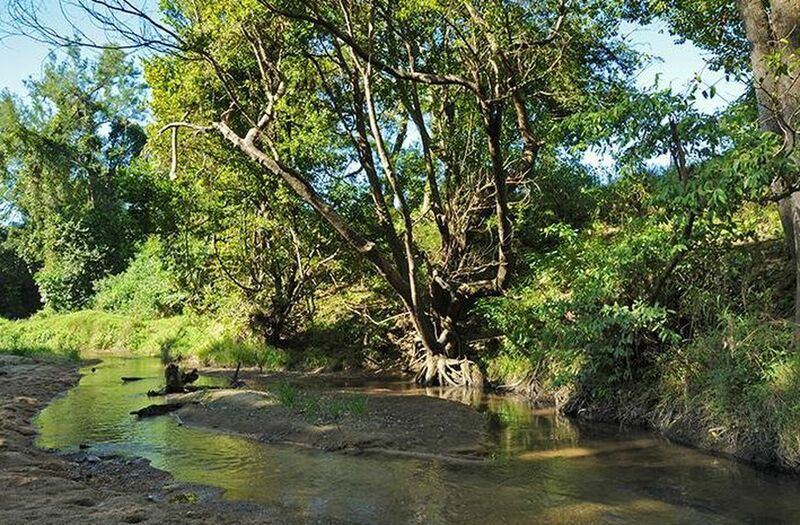 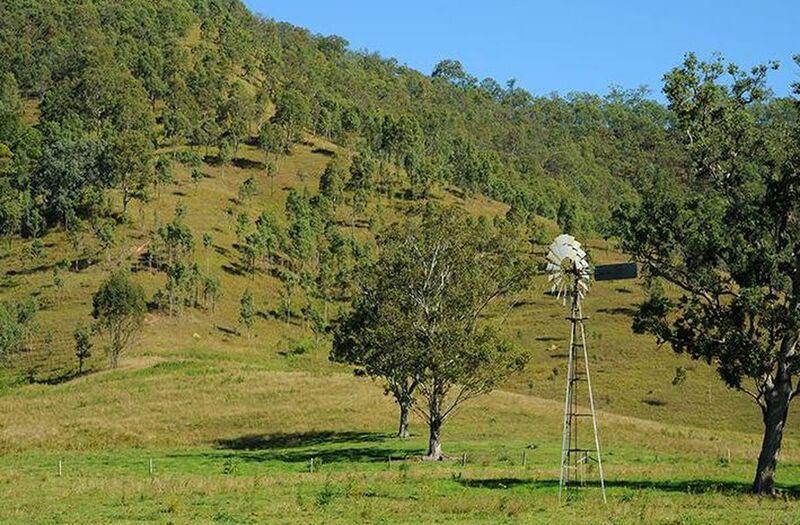 A 270m dam, 1.5km of creek frontage and a bore complete with windmill are all reasons why this property demands your attention. 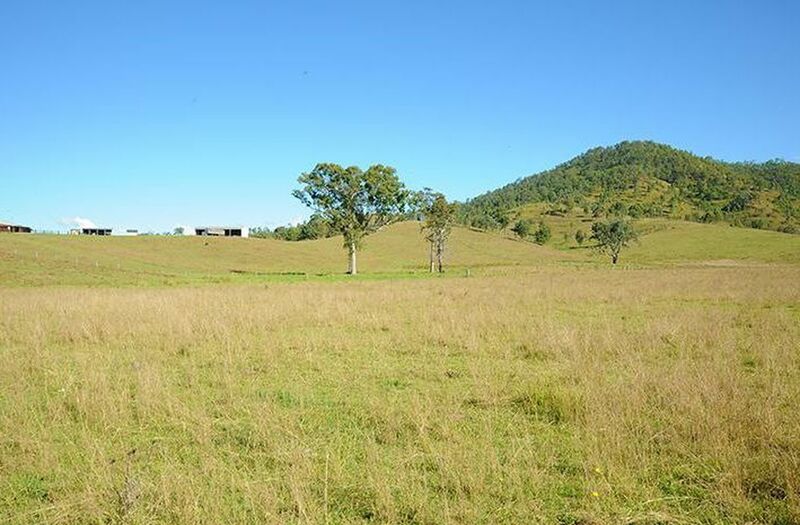 380 acres over two titles and predominately cleared. 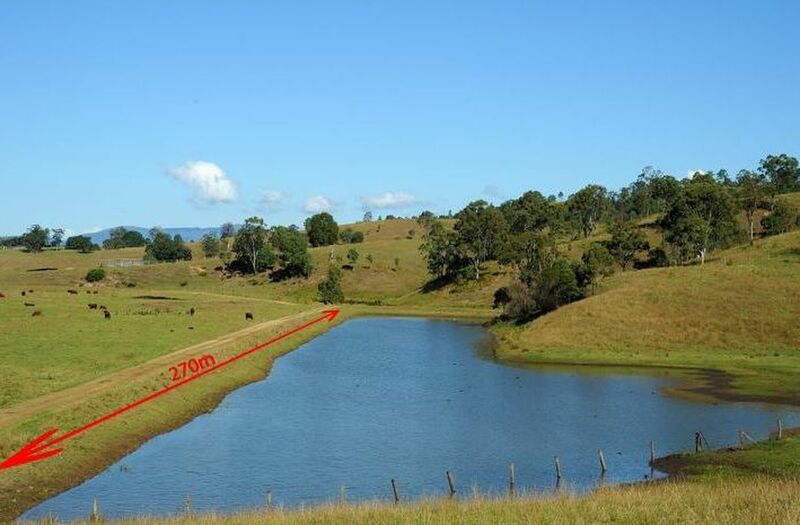 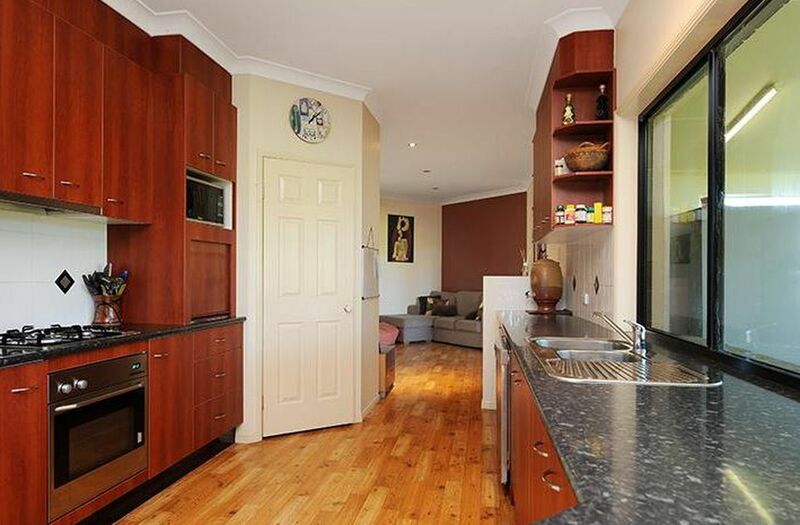 The property ranges between 120m and 340m above sea level. 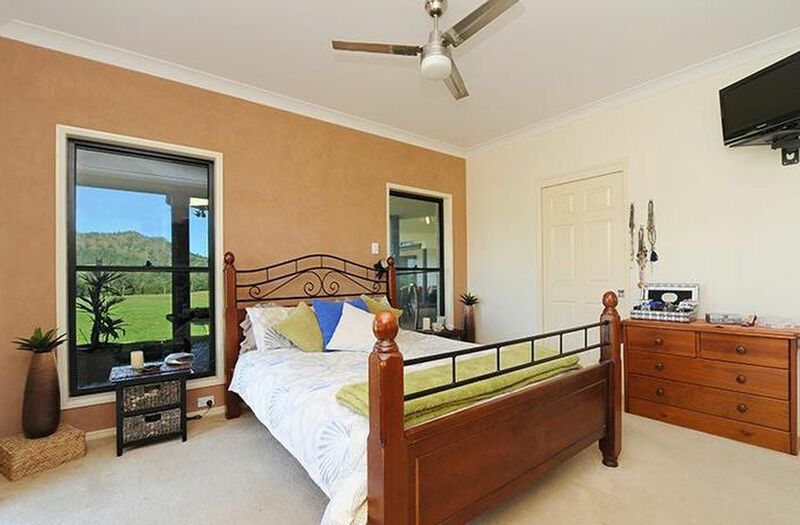 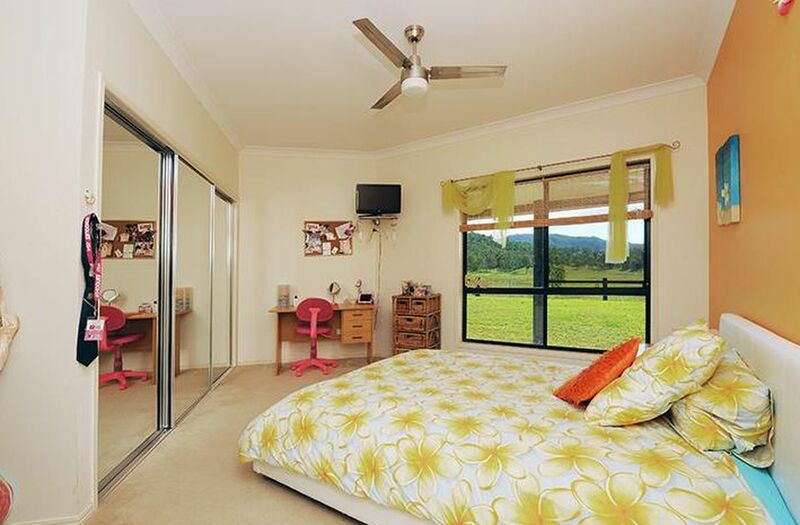 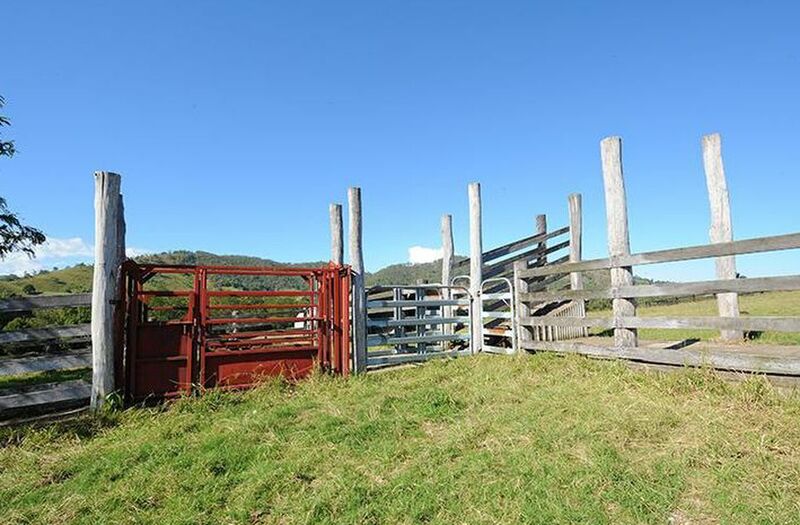 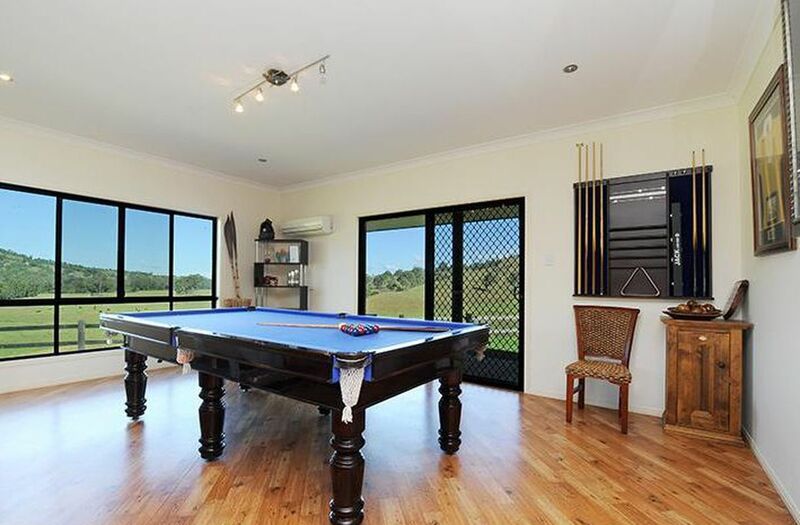 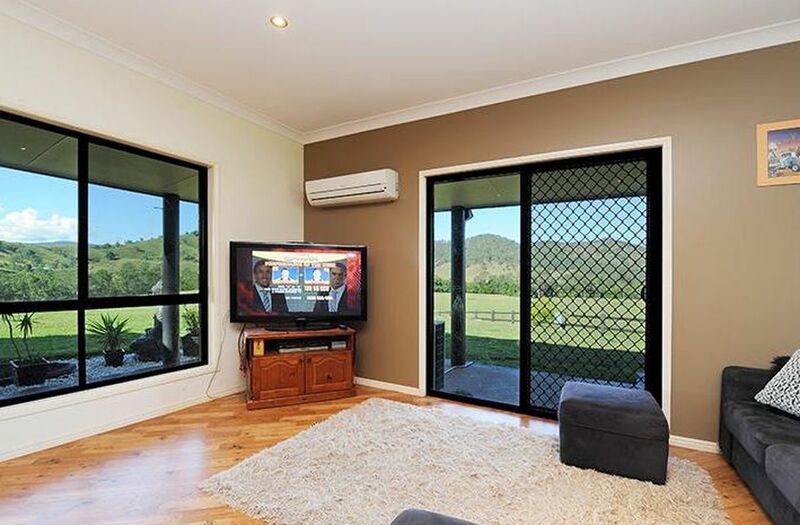 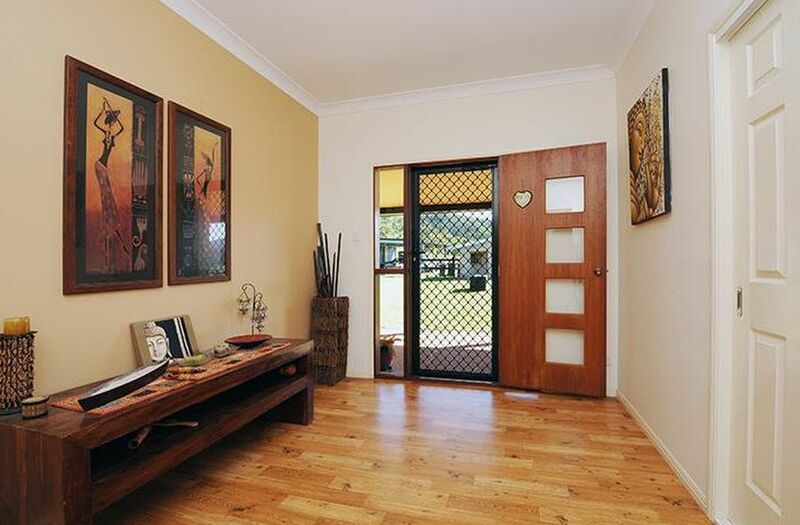 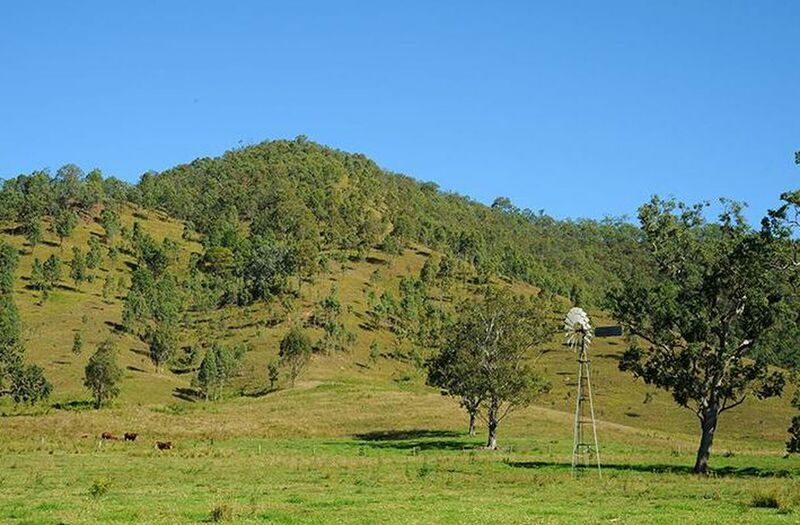 Your future is assured at Mount Kilcoy when it comes to location. 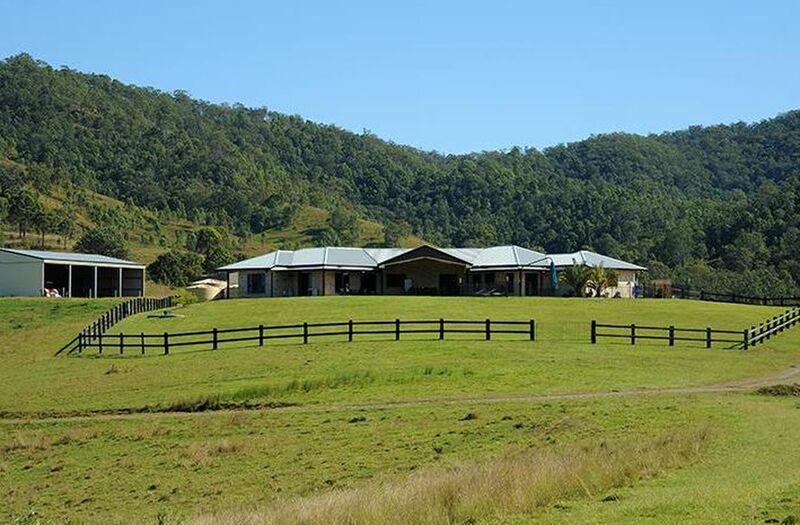 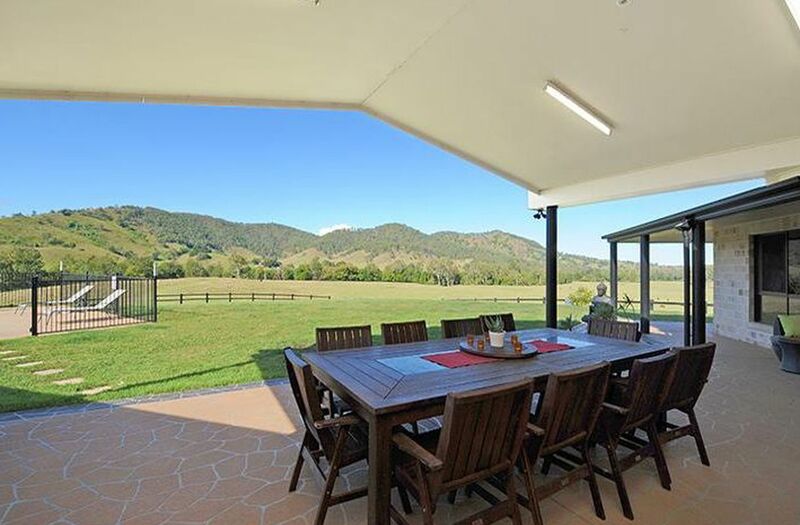 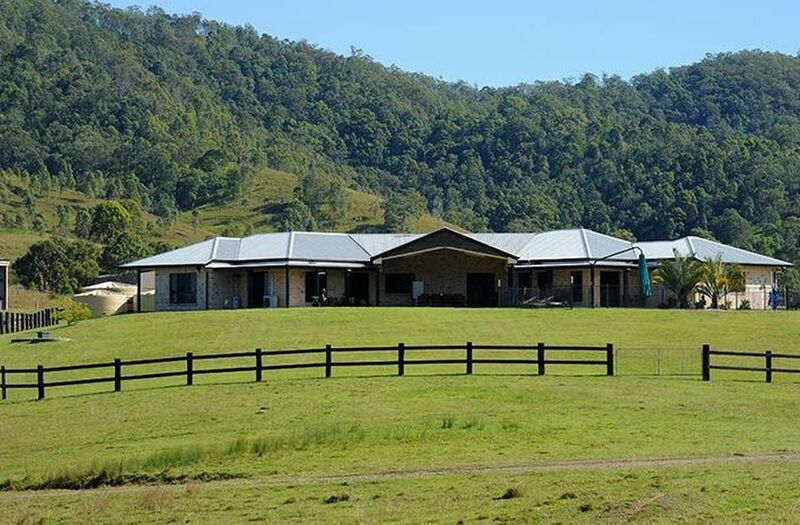 Just 100km from Brisbane City, it boasts country estate living without the inconvenience of being hours from civilization. 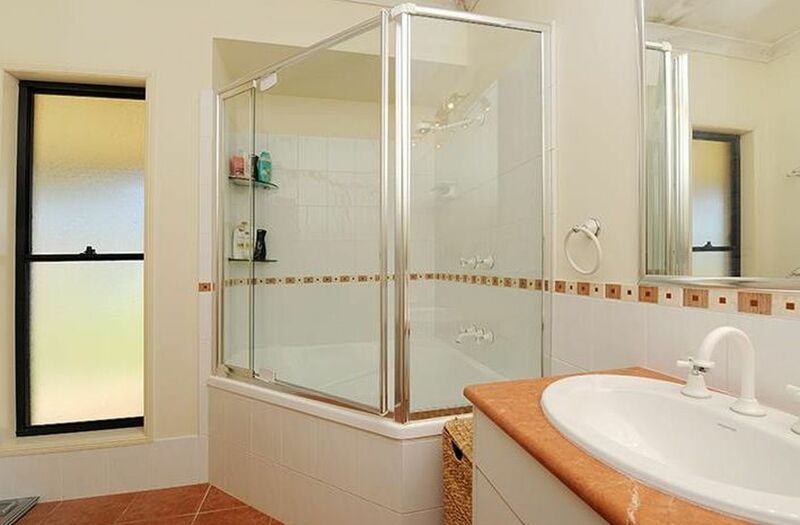 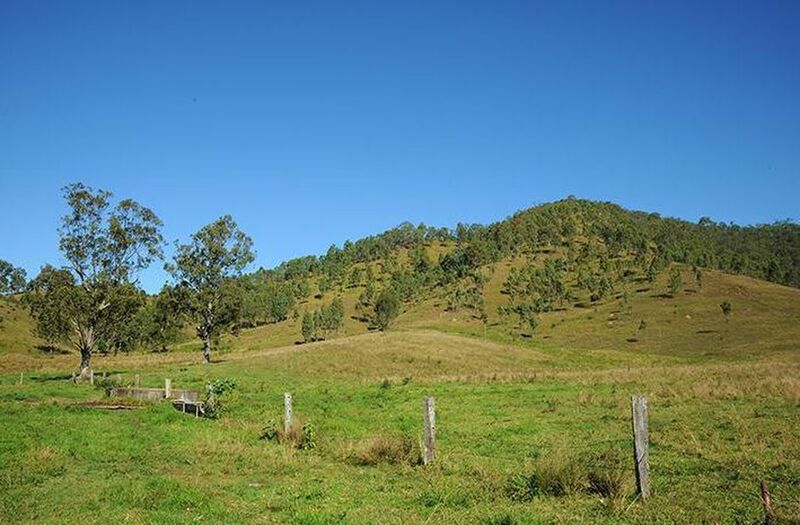 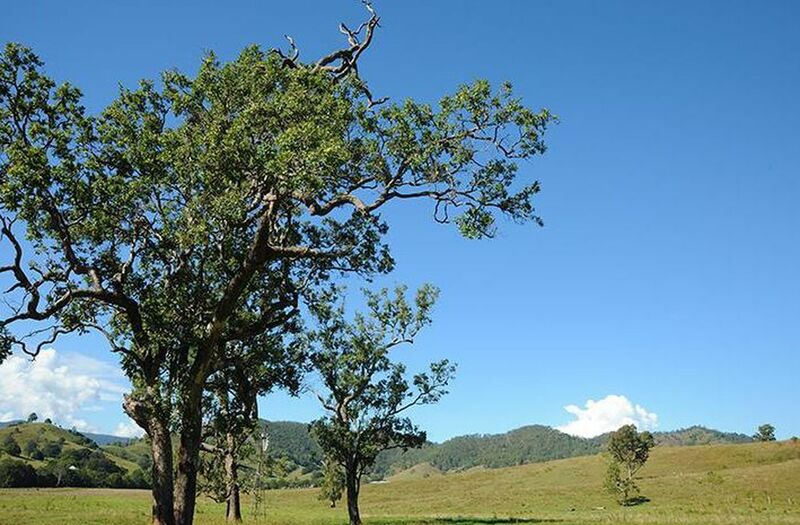 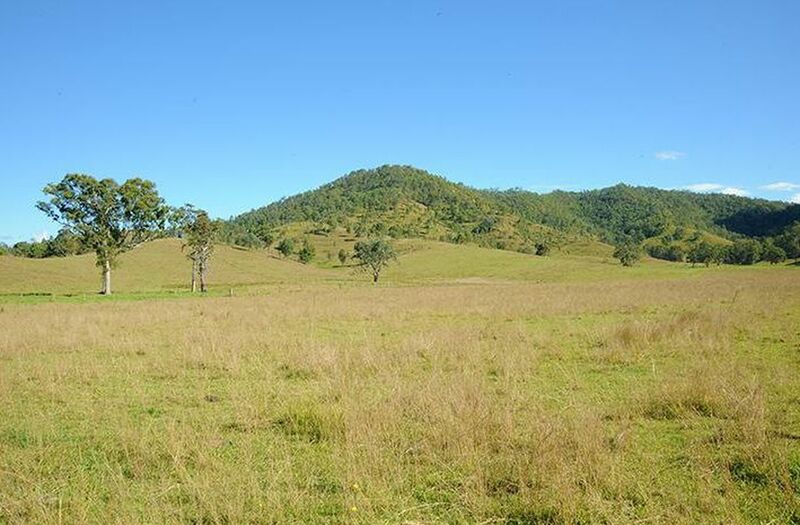 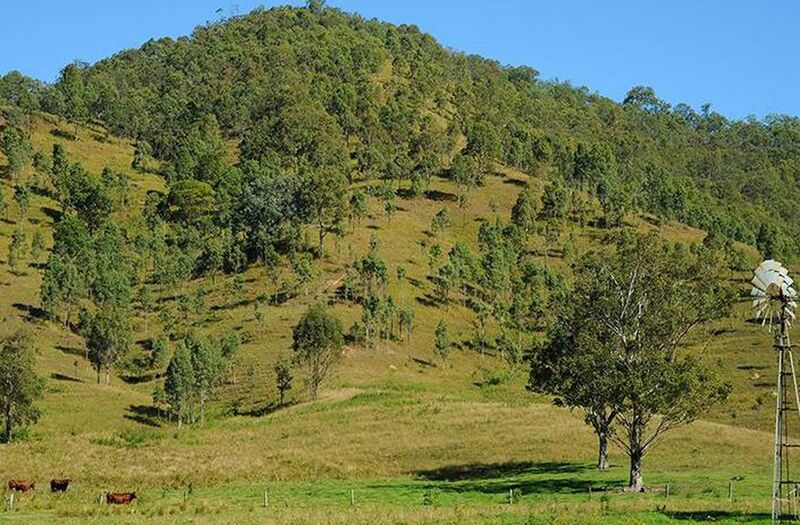 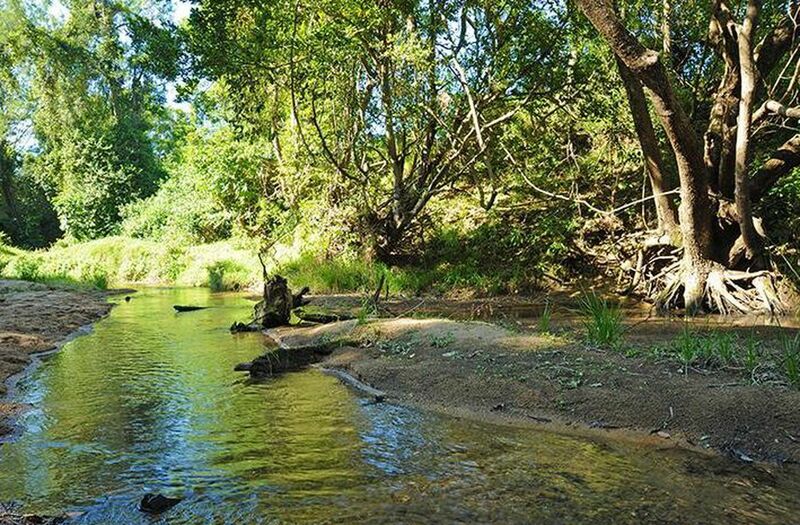 Only 75km from North Lakes Business Centre, 13km from Kilcoy Race Track and just 75km to the beaches of Caloundra, Mount Kilcoy is a secret that is bound to get out soon.